Christmas is celebrated in Kolkata? Really? People who are familiar with Kolkata would say that the city is known for celebrating Durga Puja in style. But, Christmas? And the answer to their question is…a resounding yes. And, strange as it may sound, for a city which has a majority of Hindus, you will find a sea of people out in streets on Christmas Eve! Out in the streets?? Are you sure? But, that’s not how we celebrate Christmas in other parts of the world! 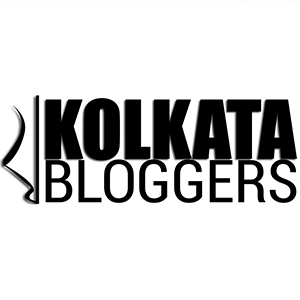 As I have mentioned in my previous blogs, most religious festivals in Kolkata become social events, and people, irrespective of their religious beliefs, love to go out and have a good time. And I kid you not. If you see the queues in front of some of the reputed Bakeries, you will be amazed. Couple of years back, I made the mistake of going to Saldanha’s, my favourite bakery, on 24th December, without pre-ordering. I waited for 2 hours, without success, to get a Christmas cake! This year, local newspapers printed photographs on their front pages, showing the serpentine queues in front of some of the Bakeries! The state government decided to turn Park Street, which is the THE High Street of Kolkata, into a pedestrian zone. Your friendly, finger-in-every-pie blogger, Know-All was there to witness it, and share the moments with you. I really lamented the lack of a tripod for some of the photographs, which I shot hand-held with 1 second exposures! Hope you will forgive the shakiness of the photographs (ain’t this the season of forgiveness?) and enjoy the spirit I tried my best to capture! Nothing to forgive. The photos are wonderful and clearly show the sense of celebration. I find it all exciting, but not sure I’d want to wait in line two hours for a cake. Unless it was an out of this world delicious cake. 🙂 Happy New Year to you and yours.